It’s the Lunar New Year, Year of the Rooster, approaching Imbolc, when Pagans traditionally celebrate ewes creating milk for their lambs, and for those of us who are not farmers, we celebrate Imbolc as a festival of the returning spring — sooner now, rather than later. I am happy to see living green plants in Bronwyn’s home since I feel so trapped inside during the winter months. Gavin and I moved to a less hot climate nearly 25 years ago now, but winters tend to get me down and I’m kind of bored with healing. We are moving from the time of the crone to the time of the maiden — new budding life all around us if we only stop to notice it. 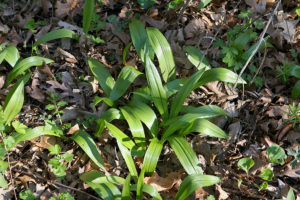 It’s not long now before West Virginians start having ramps festivals, celebrating an allium that blooms during the sign of the Ram (or Aries). This is NOT something I do since I do not eat ramps! I guess that leaves more for everyone else to enjoy, including my daughter and grandson. The actual word “February” is related to a purification festival after the month of feasting following Saturnalia. Some etymologists relate the word to a burning purification, but we prefer less painful means for self-purification. It’s not too surprising that the calendar New Year that so many celebrate between December 31 and January 1, has been translated into this opportunity for new beginnings. We are surrounded by opportunities every day, but we find them to be most notable from Samhain, celebrated on or around October 31, to the Winter Solstice, celebrated on or around December 22, to Imbolc, celebrated on or around February 2. Our aging, wizened crone asks us to slow down and to NOTICE things we haven’t seen. New moon is a time for new beginnings and perhaps you do need to purify something by fire. A recommended way is to write some of those frustrations on paper, and then safely burn that paper to let your anger float away on the winds provided by our planet’s own weather cycles. Let those frustrations go with those ashes, knowing that your deity construct will support your growth in this area, even if it may still be painful. So check in with yourself on your New Year’s resolution. Where are you in relationship to your goals? Not there yet? Perhaps Imbolc is a time to examine what is holding you back to eliminate a hurdle or two to see if you can get closer to your goals. As you eliminate, perhaps the way will become illuminated, maybe not by fire, but by self-awareness. And for those of you in the Southern Hemisphere, we know summer is winding down and this is a time for harvest festivals and enjoying those last warm sunsets as your part of the planet prepare for its winter’s nap. Please note: at The Church and School of Wicca, we feel the practice of selling spells without supporting spiritual education is unethical. If you post an advertisement of such a nature in our comment section, it will be deleted. Thank you for your attention. Never thought I’d see Wicca and ramps in the same paragraph . . . . Neither did Yvonne — she protested, but not much.